Crystal S. Anderson (PhD, The College of William and Mary) conducts research in transnational American Studies and global Asias. I focus on African American, Asian and Asian American cultures in media and performance studies, visual culture, popular music studies, audience studies and literature. You can view my complete CV here. Please direct questions, comments, requests for speaking engagements, consultations and classroom visits (via Skype) to csaphd5@gmail.com or andersoncs2@longwood.edu. Some of my scholarship can be found in traditional forms. 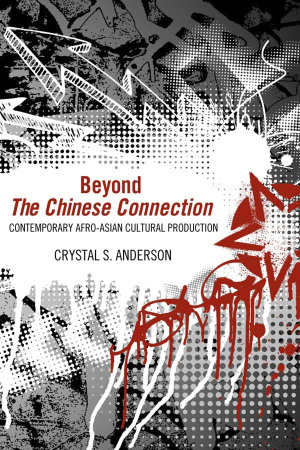 My 2013 book, Beyond the Chinese Connection: Contemporary Afro-Asian Cultural Production (University of Mississippi Press), uses the films of Bruce Lee to interpret cross-cultural dynamics in post-1990 novels, films and anime. I have also published articles on Afro-Asian cultural studies in African American Review, MELUS, Ethnic Studies Review and Extrapolation. I have also published book chapters on masculinity in K-pop, the impact of Hallyu on the United States, Afro-Asian visual dynamics, and the impact of black popular music on K-pop. Because much of this scholarship requires readers to purchase a publication or pay for access, I also publish my some of my scholarly work on the Internet to make my scholarship more accessible to the public. This site contains bibliographic essays as well as smaller pieces related to my research, including the Seoul Soul Playlist, which features artists included in my current project, Soul in Seoul: Black Popular Music and K-pop. I manage KPopCulture, an Omeka-based digital humanities project that curates modern Korean popular music (K-pop) through digital collections of music, visual culture, choreography, promotions, media and fan activity. Since 2009, I’ve blogged about Asian popular culture (K-pop, K-drama, Korean film, Chinese and Japanese popular culture) at High Yellow. You can view my digital portfolio of my digital writing. Hi Tadiwa, please check your email – thanks for stopping by! We are so pleased that you are considering undertaking a dissertation project on Kpop and globalization. Trena has already emailed you, but I’d like to reiterate that I’d be happy to help you also with methodology, relevant theories or outside readers. Hwaiting! So far I have conducted a questionnaire and focus group to pinpoint which demographic(s) of people K-Pop is most popular with and analysing why. But I am I am also interested in finding out how the internet, media, globalisation, immigration, hybridisation, etc. have been driving forces behind the K-Pop phenomenon. I have found it incredibly difficult to find any information on these, so please help me, any information at all that you guys could send me would be appreciated so much!!! Hi! Just sent an email to your contact address–I’m the editor of an interdisciplinary journal focused on romantic love in global popular culture (http://jprstudies.org), and just discovered the amazing world of K-pop. Would LOVE to get some submissions on K-Pop romance, both for the journal and for our upcoming international conference at York University, UK. So glad I found your site! Hello!, i’m a student of sociology in Chile and i have to do a presentation for my course of social comunication about sociological comunication theories, cultural studies and medias (and new medias) so i chose k-pop in orden to apply that content, and also because hallyu has reached even my country, so i’m looking for papers, studies, and whatever information that can be useful for my presentation, is more a theorical frame than an empirical study. hello! i’m a doctoral student in socal who studies different waves of korean/american performance (with respect to the postwar afterlives of national division, military dictatorship, and capitalist development)… as well as someone who grew up listening to the ‘golden age’ of kpop during the ’90s. i’m glad i found your site! it’s great resource. Hi! Thanks for commenting on the site. It’s great to see more people doing work on Korean cultural production (and listening to Kpop!). Check your email for an opportunity you may be interested in! Hello, like many other students who left comments, I too am doing a thesis on Kpop. I would love to talk and of course, receive your ideas and opinions on what I plan to do. Please email me. Thank you. Hello, I came across your site and as the others, I am working on my thesis and decided to focus on what effects of Korean popular culture there may be on the fans’ cultural identity. I have already written up my survey and sent it out, but one respondent told me that the survey was passive aggressive and negative. I wanted to know your feedback on my survey questions. And also some possible insights. Will you please email me? Thank you! You can send your survey to my email (drceefu@gmail.com) and I can take a look at it. Hi, I have came across your site while collecting research data on my dissertation on ‘How Korean is the Korean Wave’ which I am focusing on the dispersal of Korean commercialised popular culture, especially the effect of Korean popular music in America. I would suggest you start with Kaetrena’s Hallyu Bibliography (available on the site) to get an idea of the types of things people have already written on. It may help you to narrow down your topic, and once you do so, you can email me (csaphd5@gmail.com) and I can assist you further. I am doing my Social Studies Fair Project on KPop it’s globalization. Could you send me additional information too, please! I might be able to help if you gave me a little more information about your project or what kind of additional information you need. I am writing my dissertation on how much of an influence american music has played on Korean pop music and vice versa. I’m a little stuck on the best way to approach the question and so I was curious if there was any way you could help? I may be able to help if you provided a little more information. What is your research question, and what approaches are you considering? My research question is in what ways has american pop music influenced korean pop music. My approaches were to look into to the music and music videos of both korean and American pop artists to establish similarities, as well as look Into incidents where korean artists have copied a song or gotten the rights to a song from an American artists that had already been released (eg. shinee Juliet and corbin blue deal with it) as well as establish the positives and negative this has culturally both in Korea and america. I also want to look Into how korean pop has Influenced America with things such as growth in Korean artist tours, Korean pop conventions and collaborations between americna and korean artists. So do you need help focusing on particular groups? or finding a methodological context? Let me know how I can help! Methodological context please, my methodology is something I’m stuck on. Also do you know of any journals or academic works that are related to the topic? For the music videos, you could do a visual analysis. I have found Gillian Rose’ Visual Methodologies: An Introduction to the Interpretation of Visual Materials useful. Its techniques can be applied to video. Textual analysis and content analysis are also options. Michael Fuhr’s Globalization and Popular Music in South Korea is probably the best book dealing with K-pop music, although it is more about K-pop culture with some analysis of music. Also check out some of the sources in Kaetrena Davis Kendrick’s Hallyu bibliography on this site. You might want to narrow your research question also: it may be too much to cover in just one dissertation. I hope this helps.